Pros: A captivating performance of one of world’s most famous love stories by a highly talented cast and endearing leading actors. Cons: Fans of grand set design and prop heavy-shows might be a bit disappointed by this production, which is stripped to the basics. It seems as if the popularity of Shakespeare plays will never cease. This spring offers more than one production of the well loved classic Romeo and Juliet on theatre stages in London. Birdiedoes Theatre brings one of the world’s greatest love stories to the Space Arts Centre, a converted church on the Isle of Dogs, setting it during the Renaissance in Verona as intended in the original play. Director Amber Elliott decided to use the full versatility of the former church by changing the usual direction of seating and placing the audience on the stage facing the main doors. The actors were using every possible entrance, also frequently mingling in with the audience. This gave the feeling of immediacy; not only watching a play being performed, but almost being a spectator in the streets of Verona. The costumes were traditional, but the set design was very limited and triggered my imagination to fill in the blanks. The fast paced performance was combined with quick scene changes. The lighting design used different colours to illustrate the change in time and location without any alterations to the stage itself. The cast was excellent as a whole, but I especially enjoyed the performances of Rebecca Burnett and Angus Howard as star-crossed lovers Romeo and Juliet. Burnett’s portrayal of young and passionate Juliet was so endearing that I caught myself sharing her anxiety when she drank the fateful potion, although I knew how the play would end. Another shining performance came from Jennifer Shakesby who played Benvolia, a female version of Romeo’s cousin. 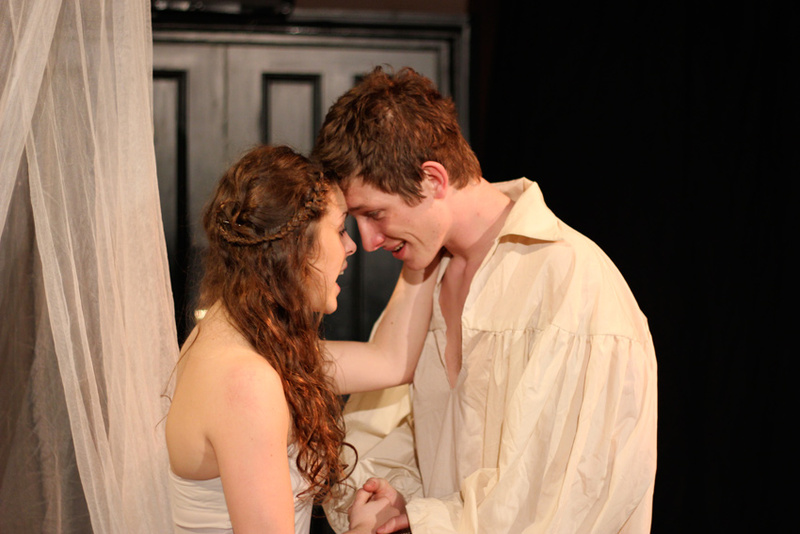 Casting a woman in this role gave the relationship between Mercutio (Adam Milford) and Benvolia a special twist and made their scenes humorous and fun to watch. I really appreciated the addition of a strong female character because it gave a nice and subtle modern touch to a usually male-dominated play. Other highlights of this production were the sword fights between the feuding families and the well choreographed dances at the Capulet’s ball accompanied by atmospheric music. Usually I am not a big Shakespeare fan and especially when it comes to a popular play like Romeo and Juliet, I always wonder how theatre companies can add something new to make their show different to previous stagings. For this production the answer is easy to find: It doesn’t turn Romeo and Juliet into a new play, but this extremely strong cast fully engages you to follow their characters on their emotional journey. They made me smile, let me hope for the loving pair and at some points even gave me goose pimples. I can highly recommend this show to everyone who wants to see a traditional but still vivid production of Shakespeare’s old classic.